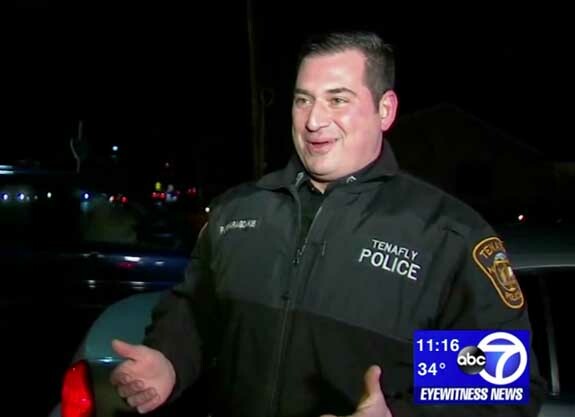 An eagle-eyed New Jersey police officer earned a bowl of meatballs and high praise for finding a diamond that had popped out of a crossing guard’s engagement ring at a Tenafly intersection. What made the find even more remarkable was that the diamond was mixed in with broken glass, gravel, ice and other reflective debris. 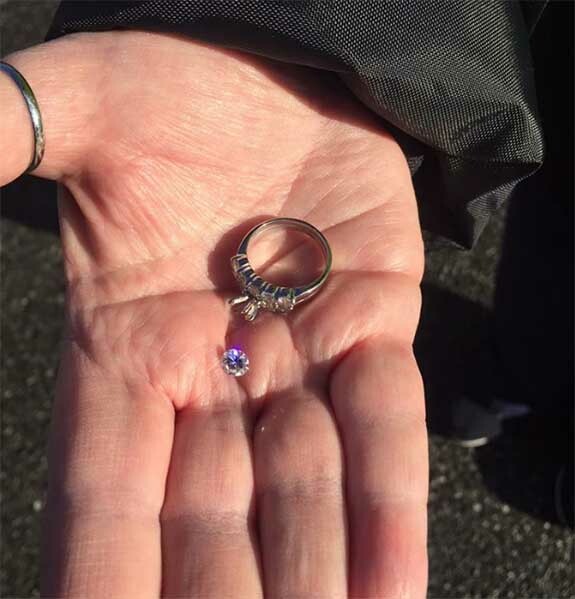 A day earlier, crossing guard Kathy Iannantuano had been overcome with grief when she noticed the diamond missing from her engagement ring while she was on duty at the corner of Riveredge Road and Jefferson Avenue last week. Iannantuano’s late husband proposed with that ring 52 years ago and it has never left her finger. Iannantuano first searched the intersection, then her car, home, jacket and gloves. She and her son returned to her intersection later that evening, but they came up empty. 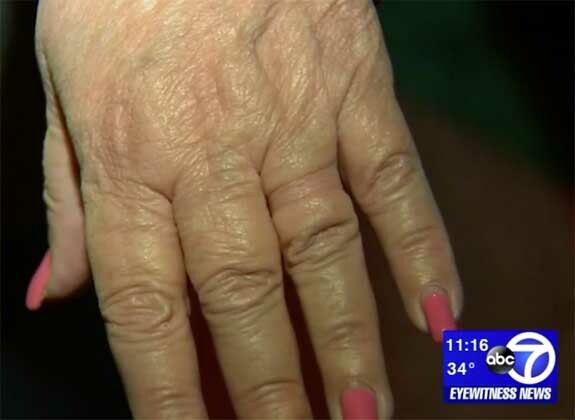 Iannantuano proved her point by displaying a deep depression in the base of her ring finger, apparently caused by a ring that was a tad too small for the better part of a half century. 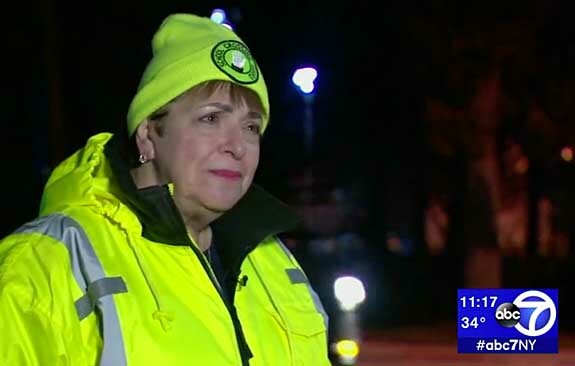 When Iannantuano returned to her job the next day, she was greeted by Officer Louis Smaragdakis, who cheerfully said “Good morning” and then he asked the crossing guard how she was. “She put her head down and I knew something was wrong,” he said. She told the officer about the lost diamond and he was eager to help find it, but this would be no easy task. Smaragdakis had been scouring the area for about 20 minutes when he decided to check Iannantuano’s car one more time. “I said to Kathy, ‘Make sure you unlock the car.’ As I stepped forward, for some reason I was looking down on the ground and the diamond was just resting right here,” he said, pointing to an area near the curb. Credits: Ring photo via Facebook/Tenafly Police Department. Screen captures via abc7ny.com.